Last Updated: April 17, 2019 · Published: February 5, 2018 By: Asian Caucasian Leave a Comment This post may contain affiliate links or sponsored content. Dim sum for breakfast! These Steamed Bao Buns with Egg and Avocado are the perfect breakfast sandwich. It’s our Asian version of an Egg McMuffin! These fluffy steamed buns come from the Asian market in the frozen section. Just steam them in your bamboo steamer for 10 minutes and they fluff up like little pillows. Stuff these beauties with eggs and green onions, slices of avocado, and bean sprouts for a little crunch. Then the kicker — a drizzle of Sriracha sauce for a little heat! These soft and airy steamed buns will rock your world! Try stuffing these buns with just about anything you have on hand — bacon, sushi-grade fish, smoked chicken, pulled pork, pickled veggies — so many options! 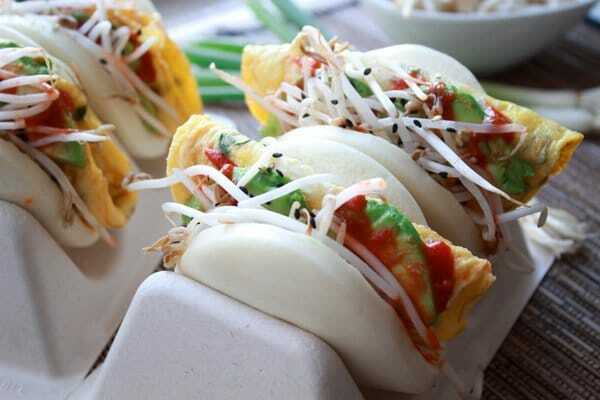 These steamed Bao buns are ideal for a breakfast sandwich! 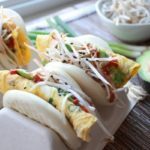 Our Steamed Bao Buns with Egg and Avocado recipe makes enough for four, but you may not want to share! 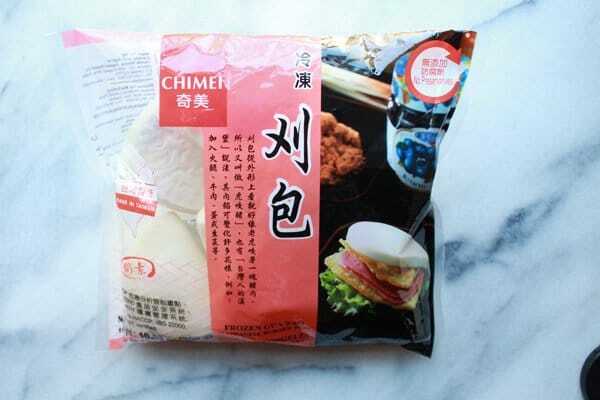 Stock up on these frozen Bao Buns! They’re perfect for a quick Bao sandwich. Steam them up in your bamboo steamer in just 10 minutes until they’re fluffy little pillows! Find them at your local Asian market. 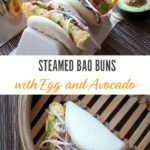 Simple ingredients make this Steamed Bao Buns with Egg and Avocado sandwich so easy and delicious. 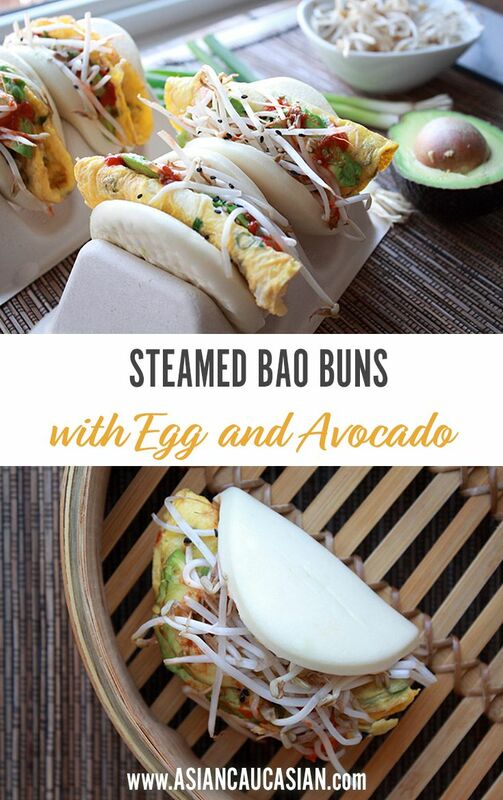 Use your bamboo steamer or a pot with a steamer insert to steam these beautiful Bao buns. These Steamed Bao Buns with Egg and Avocado are the perfect breakfast sandwich. 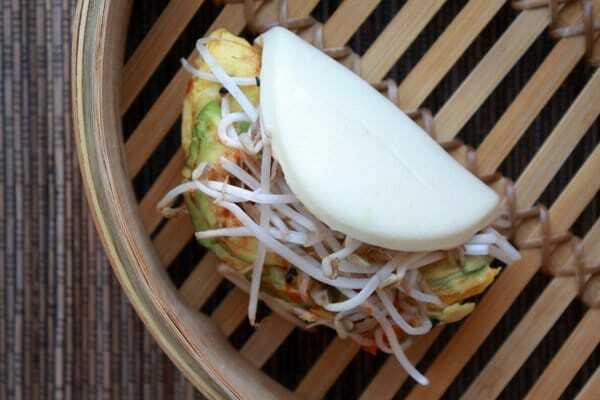 It’s our Asian-inspired version of an Egg McMuffin! 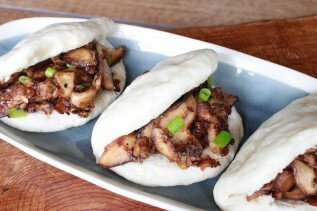 Steam the Bao buns in a bamboo steamer or a pot with a steamer insert for 10 minutes until they fluff up. Remove and let cool. To assemble: Fold the rounded egg over and place inside the Bao bun. 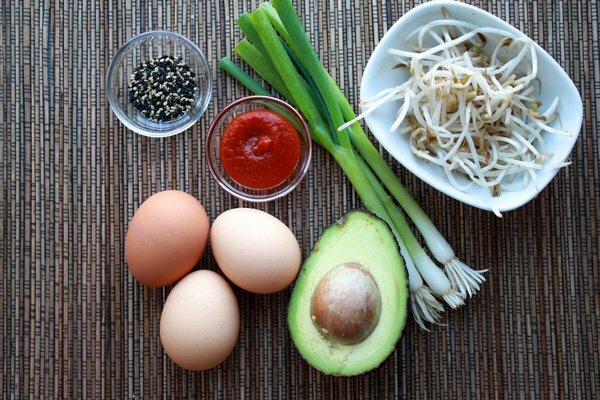 Top the egg with avocado slices and bean sprouts. Drizzle the sriracha sauce on top and a sprinkle of sesame seeds. Serve immediately. You can find the Bao buns in the freezer section of your local Asian market. If you liked this recipe, try our Vegetarian Steamed Buns.